Most companies and institutions that practice applicant background checks and doing so because they believe in creating a safe and comfortable work environment. Once a worker is hired, however, background checks for criminal activity are not routinely conducted. 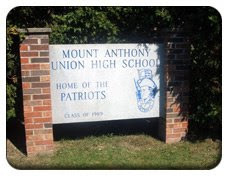 Mount Anthony Union High School regularly screens employees before hiring them. Shawn R. Pratt was screened prior to his employment as a paraprofessional. Charges against Pratt for aggravated sexual assault on a child under 10 and lewd and lascivious behavior with a child are still pending. During Pratt's six year employment at Mount Anthony he racked up several misdemeanor charges including assault and marijuana posseson. His criminal history accrued while he was employed and without the school's knowledge. The school is not required to run background checks on currently employed individuals, in fact, they are regulated against doing so by the state of Vermont. Health care institution in Vermont have that right, but there is no generally accepted procedure in place. Joel Cook, the executive director of the Vermont chapter o the National Education Association said, "The purpose of the law is to provide school information about people they are considering hiring and keep bad actors out of the system and away from children. If you have someone in your employ and they get in trouble ... I think we believed that in small town Vermont - and all of Vermont is small towns - more than likely, you'll know about it." Not a very efficient process for insuring the safety of the children attending Vermont schools. It is unknown how many state's have laws such as Vermont's on the books. It might be time to reconsider the background checking process after employment.